Players function under all sorts of stress and fatigue when it comes to football, and such performances are often commended. However, often times, fate deals one with an awful blow and the unthinkable occurs. 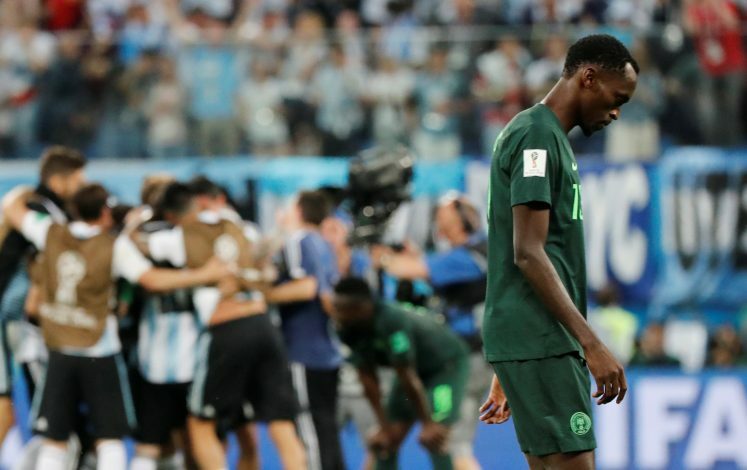 An event along those lines happened to John Obi Mikel a mere hours before Nigeria clashed with Argentina in their final group game last week. The Nigerian captain was informed that his father had been kidnapped and held for ransom. This was informed to him by the kidnappers via a family member, and he was expressly told not to report anything, or else his father, Pa Michael Obi, would be killed. The 31-year-old player revealed the following details to the Guardian: “I played while my father was in the hands of bandits. I had to suppress the trauma. I took a call four hours before kick-off to tell me what had happened. “I was emotionally distraught and I had to make the decision about whether I was mentally ready to play. I was confused. I did not know what to do but, in the end, I knew that I could not let 180 million Nigerians down. I had to shut it out of my head and go and represent my country first. Fortunately, his father has now been released as he stated: “Thankfully, my father was safely released on Monday afternoon. I thank the police authorities for their rescue efforts and the support I’ve received from friends and family members. Nigeria wasn’t able to keep up with the required 1-1 draw to qualify to the Round of 16, as a late Marcos Rojo winner sealed their fate.